Waltons tongue and groove sheds use interlocking premium timber to increase strength and stability. Most of our tongue and groove wooden sheds including the Value Tongue and Groove, Tradesman and Groundsman sheds use the traditional Shiplap Tongue and Groove boards for the cladding. It's called shiplap because of the cut away at the top of the board which is designed to allow water and moisture to run away from the joints helping to add longevity to the shed's life. Tongue and groove sheds are quick and easy to construct, and the wide range of designs that we offer means that your perfect garden shed is just a click away. So what makes these sheds so special? The unique tongue and groove panels that these designs feature makes them extremely strong and durable, so if you're looking for somewhere to store some heavy sporting equipment or gardening machinery then one of these makes a fantastic choice. Our special tongue and groove timbers have a unique shape, meaning that they interlock with each other. Not only does this make this style of shed easier to build, it also protects against harsh weather conditions – so you don't have to worry about any panels leaking in heavy rain, or flying off over the fence during a storm! All of our sheds are sent out in panel form, just like flat pack furniture. Every garden shed is delivered with clear installation instructions - you just need some basic DIY skills, a friend, and some time to get your perfect shed built. Need a base? Read our guide to shed bases to make sure you get the right one for your building. These panels, once built, are extremely sturdy, so you can rest assured that your new shed will last for years. 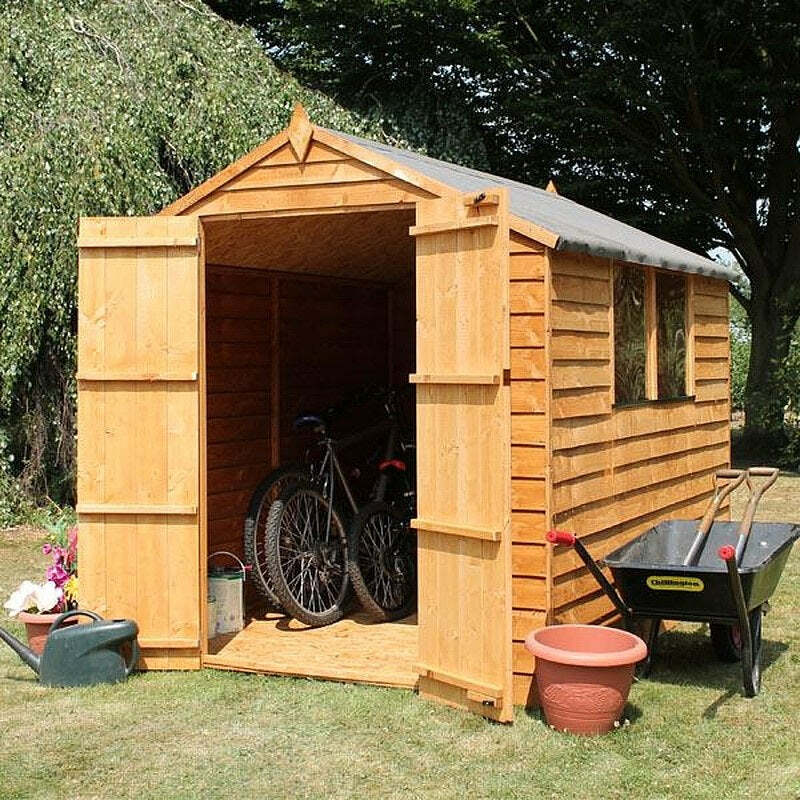 All of our wooden sheds come with a ten-year anti rot guarantee. If you'd rather have your new shed installed for you, this can easily be arranged. Simply choose the installation option at the time of order and we'll send one of our shed experts along with your shed to build it for you.